Koolerbuy.com is run by Shenzhen Kuletong Technology Co. Limited Corp( Auto Electronics Co., LTD). they focus on providing most valuable and exclusive digital electronics, so they are more professional and helpful to buyers. From the day they started business, car multi-media and navigation systems,digital electronics are our main products and they continue to work hard to integrate more electronics, their mission is introducing excellent digital electronics to buyers. Do keep watching their new arrivals and you will find surprise there. 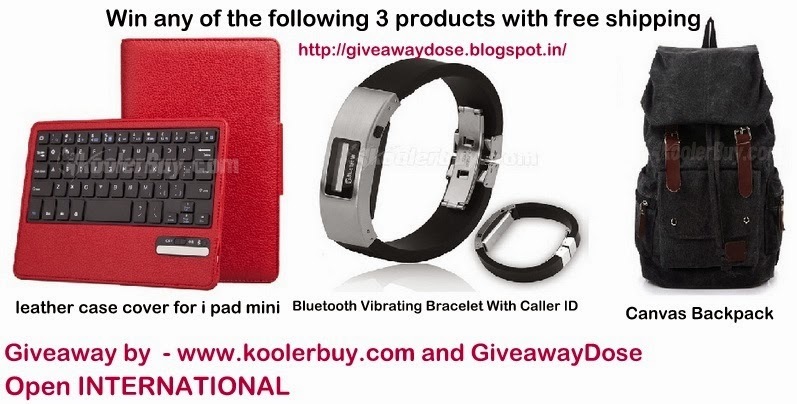 thank u so much 4 lovely giveaway . This graffiti shoulder bag is so cool!! Water Proof Android Phone :) Hope to win. Love this :) Hope to win let's hope for the best. Great giveaway! I love things on Koolerbuy site! This speaker wrist watch is so cool!!!!!!!!!!!!!!!!!! A great giveaway! I hope I win it.